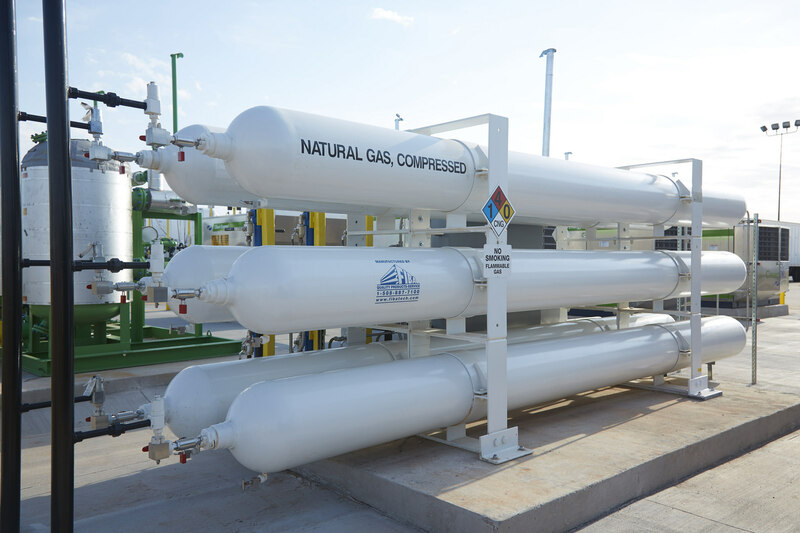 Compressed Natural Gas (CNG) has a name that sounds like it could be a complex scientific concept, but it’s really not that complicated: CNG is primarily methane gas stored at high pressure. That’s it. We care because CNG can be used in the same place as gasoline, diesel, or propane, but is generally cleaner and helps diversify the fuel supply. It’s pretty simple to generate – made by compressing normal natural gas to less than 1% of the volume it occupies at normal atmospheric pressure. CNG burns more cleanly than diesel, producing lower CO2 emissions, and almost all of the natural gas in the United States is homegrown, not imported. Natural gas can be renewable, with some of it even generated by landfills. Testing is an important part of paving the road ahead, determining the right fuel, with the right plan and route. There is no one size to fit all cases. At FedEx, as we continue our development of the fleet of the future, we look at things like electric vehicles, hydrogen, and alternative fuels. As part of our EarthSmart program, we’ve recently invested in more than 100 new tractor-trailers that run on Compressed Natural Gas. 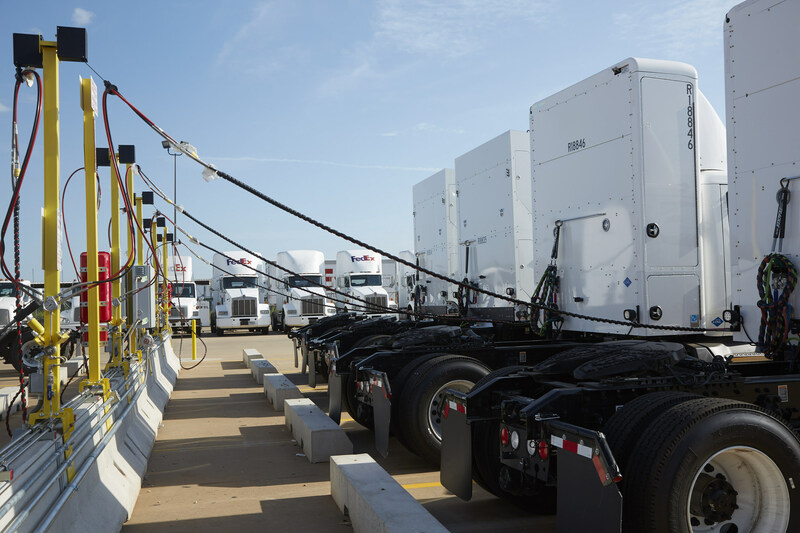 Those vehicles are part of a test at our FedEx Freight hub in Oklahoma City. We’re looking at how tractors run, as well as ease of use from our drivers and technicians’ perspectives. We’re also looking to figure out if natural gas vehicles can have a lower maintenance cost. CNG tractors are more expensive than traditional diesels, but they have very similar range (750 miles), and driver certification is the same. You can’t fill up a CNG truck at your average corner gas station. Special equipment is required to fill the tanks safely. As part of our purchase of the 100 new CNG trucks, we’ve also equipped our Oklahoma City Service Center with a new CNG fueling station. The most impressive thing about this new fueling station is the “Time-Fill” option. 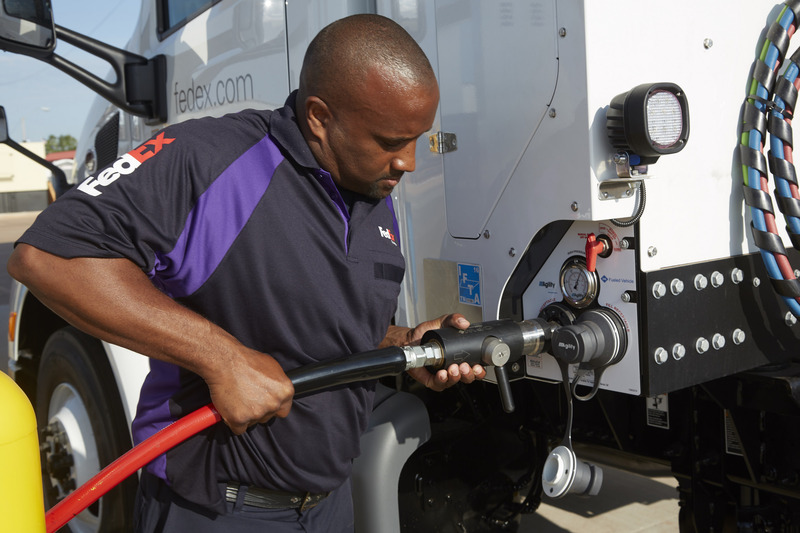 This allows our team members to hook up hoses to as many as 18 trucks at a time to refuel them overnight. Time Fill saves time for drivers because they can just hook up and walk away, returning to a fully fueled vehicle in the morning. Because the Time Fill option fuels more slowly, it generates less ‘heat of compression’. That allows for more CNG to be placed in the tanks of our big rigs. And it lets us run routes that are cleaner and more efficient. 18 tanks for 18 wheelers…we think that might be the beginnings of a great country music song.